All resources are of type SolidColorBrush. 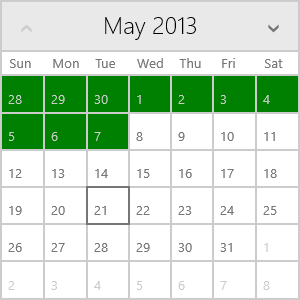 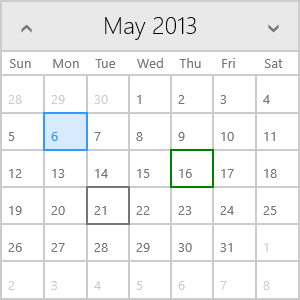 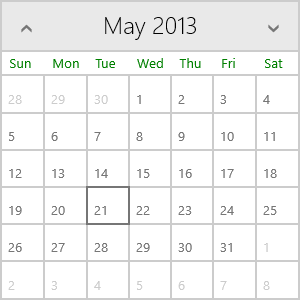 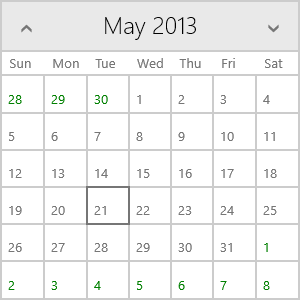 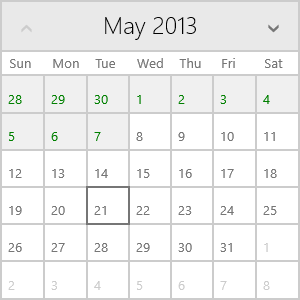 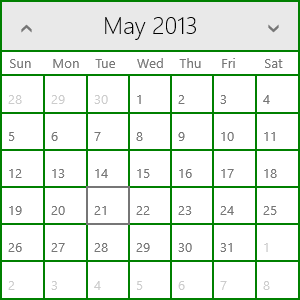 Brushes that affect the RadCalendar control are shown in the following list. 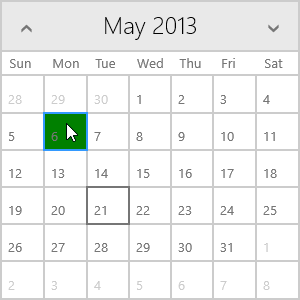 The brush names should be set as x:Key property of the SolidColorBrush, and the changes are shown with Green on the images.